Have you ever used a balancing cream that you constantly had to worry whether or not you were applying the proper amount? Arbonne Progesterone Cream comes with a metered pump, so you will get the proper dose with each use! It sure does beat the heck out of trying to use a teaspoon to measure it. Also they come in airtight containers so that the product is not exposed to air and thus less efficient. Arbonne has 2 progesterone creams depending on your current health needs. Both are fantastic and I have heard of many women who swear by them. 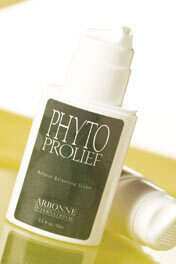 PHytoProleif Balancing Cream - It has a base that comes from plants, so the balance that it brings is completely natural. PhytoProlief help balance either too little or too much estrogen. It contains evening Primrose Oil, red clover, cohosh extracts, dong quai, and chaste tree. It is a very lightweight cream, so when you apply it feels completely natural. PHYTO-PROLIEF is appropriate for women who are;premenstrual, pre-menopausal, menopausal and postmenopausal. You should not use Phytoprolief if you have a history of female cancers, allergies to any of the herbs including ragweed, taking medications for blood pressure, glaucoma, heart, and blood thinners, breastfeeding or trying to get pregnant, obese, and men. Proleif Natural Balancing Cream - has a plant base, but it doesn't contain phytoestrogens, containing only sweet almond and sunflower oils, as well as aloe. Everyone can use Proleif! So you might be wondering what is progesterone and why should I worry about it? Progesterone is a hormone that forms naturally in the human body, and it helps women maintain a normal menstrual cycle and gestation period during pregnancy. Most of the progesterone in the human body comes from adrenal glands, although there is a bit of it produced by the brain, ovaries, and placenta during pregnancy.Levels of progesterone are higher in women of child bearing age. It prepares tissue in the uterus for the extra stress of carrying a fertilized egg. This is a monthly occurrence, so when pregnancy doesn't happen, the progesterone levels drop and the extra tissue lining of the uterus is shed through menstruation and the process starts over again. When a woman becomes pregnant, progesterone goes into overtime. It keeps the muscles of the uterus from over contracting, which keeps the embryo in place. During the pregnancy the fetus will use progesterone for its proper development. Progesterone also keeps the breasts from leaking milk during the gestation period until labor occurs. There are other purposes for progesterone other than gestation and menstruation. Research shows that it plays a role in maintaining a proper thyroid function, and it is suspected that it protects against different types of common cancers found primarily in women. It controls the bleeding in women who are not ovulating, and it reduces symptoms of PMS and menopause. It can also give you more energy and improves mood. Where and How to Apply Progesterone Cream? 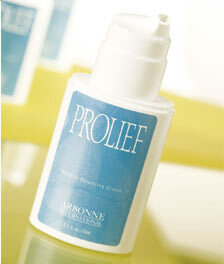 The Arbonne progesterone cream needs to be applied to soft tissue on the body. This includes chest, inner part of the arm, neck, face palms of hands, and soles of feet. For the best results, rotate application on different soft tissues and apply morning and evening. It is recommended to use 1 pump to 2 pumps a day. Spit the dose between morning and before bedtime. And always apply to an area that is clean. Lotions can prevent the creams absorption. There are so many health benefits to apply a progesterone cream. If you are pregnant or lactating consult your doctor first.